Back in April of last year, I was one of 17 participants selected as part of a community cohort to be trained by Trauma-Informed Oregon on trauma-informed care. The intent of these train-the-trainer workshops was for participants to take the material and make it specifically relevant to our organizations/industries. Knowing that libraries are "a helping profession" and that many of us come into with backgrounds in trauma, I wanted to make my delivery of this content as trauma-informed as possible. Last week, I held two "countywide conversation" sessions to introduce the concept of trauma-informed care to local staff. It was an in-person iteration of some of the internal Trauma-Informed Care training modules I created and posted on our extranet. A flipped-classroom model, I reasoned, would help staff process the material on their own before having to talk to anyone about it, and the sessions would allow room for discussion for those who'd want to talk about. I also prepared a presentation to introduce the material for these sessions, in the likely event that a staff person would want to attend but not have time to view the referenced modules beforehand (or would need an in-person intro to understand how trauma-informed care is meaningful to our work). Having attended plenty of conference sessions that didn't take their own advice over the years, I set out to make this presentation as trauma-informed as possible. Here are some considerations I made in order to achieve this goal. You might want to try them out for even unrelated presentations! Registration recommended, not required: It's trauma-informed to have registration, so I could anticipate how many people would attend and plan accordingly. I also wanted to make it okay, however, for staff to feel like they could drop in without crashing the party (also trauma-informed). We got 30 registrations, and we ended up with 30 participants-- though, some registrants couldn't attend in the end, and some attendees didn't register. At the time I started planning, I had 22 registered and planned for 40 (so maybe +25-75% attendance if you wanted to try this). I also sent out a Doodle Poll before I opened registration so I could gauge the interest in all parts of the county. The hope was that the highest amount of people who wanted to attend could be able to, and not have to travel across the county to do so. I didn't catch everyone this way, but I was able to do my best to make sure the locations were equitably chosen around the county. Registration was open for two weeks, with a reminder a week before. The registration email included a registration link, location and links to Google Maps of the locations, and the agenda with approximate times. If we had the time I might have opened the registration for longer, but we were butting up against local summer planning as it was. Reminder email to attendees: I collected the email addresses of registered attendees, and sent out an email to them the Monday of the sessions. I thanked them for registering, and then set out some expectations: there will be snacks but feel free to bring your favorite snack or drink; knitting and other fidgeting is welcome; and to dress however they felt best (whether that be sneakers or a suit). Coloring sheets and fidget toys: I had ordered a box of assorted fidget toys online, but they hadn't arrived in time for the sessions. So I printed off some coloring sheets and brought some crayons to help attendees mitigate stress and process information. The coloring sheets and fidget toys now live in a basket in our conference room, and I'm intending to bring them to every meeting I can remember to bring them to! Voice Amplifier: A few months ago I got a voice amplifier and I thought this would be a great place to try it out-- in meeting rooms with possible ambient noise. I'm blown away by how inexpensive it was and how good it works. I get not wanting to hook yourself up to a surround sound system for a few people (and yes, social anxiety is a real thing and no, introversion and social anxiety are not the same). Not only it is an accessible practice to wear a mic (calm down, abled people, please don't be self-righteous about the one thing you're actually committing to); once you do get into practice of it you'll realize just how noisy the rest of the world inside meeting rooms truly is. Best part about a voice amplifier for small gatherings is you just have to hook yourself and go, and if you DO have social anxiety you can turn it up enough to where everyone can hear but you don't "sound like you're on a mic", which could help with comfort. Housekeeping at the beginning of the presentation: Things like duration, reminders, or behavior expectations (it's okay to stand or walk around, etc). Apologies but I do not care at all if the same Library Thought Leaders who hate powerpoint find a short introduction that includes housekeeping boring and I "lose" them. I care more about "losing" staff who may literally not be able to process information without knowing where the exits are and it's okay to leave; or staff whose stress response is activated and are at risk of disassociating and take solace in knowing the exact amount of time remaining before they don't have to heavily employ coping mechanisms if they want to stay. People with backgrounds in trauma are in your presentations too. Icebreakers: if you have to have one, send it ahead of time. That way everyone is listening to everyone else and not worrying about what they'll say when it's their turn. Choice, choice choice: Plan participatory options into your session and refer to them. No mandatory participation. No "you have to work with someone you don't know very well." Make it okay to say "pass." -EVERY consideration we make is an opportunity for re-traumatization or healing. We may as well try to be healing! -A car accident involving a man-hole cover flying at my car soon after my 36th birthday (as if my feelings about my birthday aren't complicated enough, the Final Destination-ness of this event stuck with me longer than I care to admit). -My spouse's 16-year-old cat, Stubbins, nearly dying three days before Christmas (Caleb stayed home last minute to care for him). We've decided to not pursue any further intervention care. -My parked car being involved in a second accident, this time with a U-Haul on New Years Day. It was nearly totaled, which meant we would spend another year with one car between us; which has become increasingly untenable. The auto body shop was able to find a way to keep the cost just low enough for us to keep it, which I am so grateful for. Add to this my day and weekend work: At my day job, I was trained as a trainer with Trauma-Informed Oregon and I worked on extensive learning modules based on trauma-informed care (keep an eye out for an online course coming soon that will NOT use these modules but will address related topics); and in my "free" time I created presentations and ran a course on the Disability Community in the library. Usually, I'm able to enjoy vastly different work between my day job and my side stuff. At one point a few months ago, I had just finished writing about historical trauma and institutional oppression; the next day I walked to the coffee shop and opened up my laptop to a slide that just said: "Disabled People are Burdens." -Got my meds right: yes, again. It's a process. 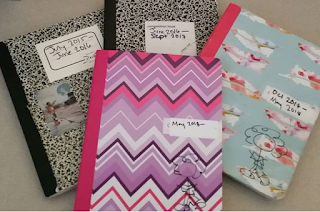 -Have one notebook where EVERYTHING lives: I first got this idea from Shawn Brommer, who presented on her organizational style at the 2015 ILEAD Wisconsin workshop. One thing I've definitely borrowed from her style is writing down things I've accomplished that didn't make my to-do list but I accomplished anyway. My notebook has become such a mainstay in my my office that my boss and two of my coworkers also carry them around everywhere. -Mark emails on my to-do list: and I don't cross them off until I hit send. Emails can sometimes be easy things to do, though I have a tendency to write them and forget to send them until later. Meds help, but marking them with a little box on the side of my to-do list can alert me to do things I can do to keep things going. If I don't have much time at my desk one day, it's often more important to get emails out in order to keep projects moving than trying to work on a larger project. -Question why I'm putting something off: I recently have been reading more about procrastination as it's related to anxiety, and it really makes a lot of sense to me. If I'm feeling particularly willful about a task, I do my best to reflect on why that is, and engage in a short de-stress exercise in my toolkit, and it's usually enough to get over it and get started. Way more often than not, interestingly enough, the anxiety is left over from past toxic work environments; I can acknowledge that my anxiety about a task is valid, but is not useful in a work environment in which I feel relatively safe. Reaching out to coworkers to help me remember this has been especially helpful through change. -Install web tools to increase focus: random web usage when I'm putting stuff off has been common for me, particularly anymore on the weekends. When I'm having a hard time reeling in my work-related anxiety, I actually find it soothing (though COMPLETELY UNPRODUCTIVE, to be fair) to Google the same things over and over again. At one point several years ago, my anxiety was particularly about my place in the world outside of my workplace, which I assumed (irrationally, I know) I would die at before I had the opportunity to leave. Consequently, the thing I Googled the most was, like, my own name. My own self-preservation had completely taken over. To disrupt this tendency anymore, I use tools like Block Site. Seeing the block screen is often enough for me to engage in a de-stress activity and rededicate my brain. -Write things down as a I remember them: As I go through the week, occasionally my mind will wander in a meeting or on non-work time and I remember something that I need to do. I'll either email the idea to myself, or write it in the margins of my notebook with a big star. At the beginning of the next week, all big-starred and emailed items are added to my to-do list. -Have meeting days and non-meeting days where possible: this is a hugely useful change I'm moving toward thanks to my coworker Katie. I'm sure I'm not alone in that my brain works differently at meetings versus at my desk, and it can be tough to transition if meetings are scattered throughout the week. While scattered meetings are not completely unavoidable, I try to find at least one day every two weeks where there are no meetings scheduled, and rope off that time on my calendar. This is time to dig into large projects and catch up. Staying on top of things can be overwhelming especially when life goes pear-shaped. But it's been powerful to figure out a system that works for me in a job as varied as the one I've got. What are some things that help you stay on top of things? Content note: some lies we learn about disability are named here. They are not true, but they can be tough to read. They added this title card and I may have sent a picture of it to my sister. The webinar was structured by digging through three of the overarching lies about disability that are embedded in our dominant culture. A few years ago I became aware of the term "the abled narrative" to describe these lies as a whole; I cannot pinpoint an exact origin but I credit Twitter user @EbThen for my introduction to the phrase. I came up with these specific examples of lies when writing the introduction to my related course. I sat down and made a long but non-exhaustive list of all of the messages I had learned and internalized over the years through media depictions and reinforced through...well, generally living as a person with a disability. These are messages not only disabled people internalize, but abled people as well. And that's one place where we can get stuck with not prioritizing accessibility. How and When Should I Step In To Help a Disabled Person? One of the things that has always intrigued me about abled people* is their absolute, unwavering awkwardness when encountering PWD. I mean, I code as abled particularly in social situations, and like the literal second a random person I'd been talking to learns I'm disabled it just. Gets. Awkward. It's not like I intentionally hide the fact either. I literally wear it on my sleeve occasionally with one of fashionable tops I've acquired to support disabled artists. Perhaps you're wondering what this has to do with the title of this post. I say this not to shame but to share this reality. If this is you-- hey, you're not alone! I feel the need to preface this post as such because: no matter whether, when, or how you step in to assist a person with a disability, the interaction should be about what they need and not how you feel about it. I understand that there is some warm-fuzzies you get from helping people at all. But as we've talked about before, the abled narrative can make these types of interactions with disabled people much more feelings-based than others. You might say or do the wrong thing along the way. That can be annoying but don't let that keep you from helping. Remember, also, that everyone needs help at one time or another; and since disabled people are human beings just like abled people are, we sometimes need help. That's it. As you follow through the considerations below, prioritizing the actions and not the feelings around the action can help you get out of your head with the whole thing. 1. This Person is Working to Overcome their Disability and I Mustn't Interrupt Their Journey! 2. I am Uncomfortable Watching this Person Live their Life and Need to Intercede! 3. If I Help This Person, What If They Find it Offensive? One glaring problem in these competing narratives is there is only one of three that actually involves helping someone, and it's putting your feelings first and placing judgment on a another human being. If you've been following these posts I hope you see that #1 is a lie. No random disabled person you encounter ever had an epiphany because you watched them from afar for 20 minutes and then maybe clapped**. Sorry to disappoint. As for PWD finding help offensive: first, it depends, so read on. Second, if it is, you are probably the 20th person to similarly offend them and are probably the least of their concerns. We want to get on with our lives just like you. Can't Miss: Sessions at ALA Midwinter! The ALA Midwinter meeting is my favorite of any national conference I've been to. I can't really tell you why. But I do know that the Symposium on the Future of Libraries is happening for a third year!! The image above is a Facebook memory I received while at last year's Midwinter meeting. I had to laugh when it passed by on my notifications as I attempted to navigate the terrain of the exhibit hall, which always feels loud and bright and can be disorienting. 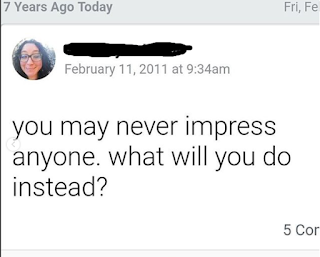 Thanks, Past Me. You're a real peach. Here are some Symposium sessions that I'm particularly excited about. Might be worth adding to your schedule! Join ALA Policy Corps members for a conversation surrounding political advocacy for school librarians. In this session, you will hear directly from decision makers at various levels to learn their perspectives on advocacy and what makes a good advocate. You will also learn how to connect with your local, state, and national legislators; communicate effectively; and break down the barriers standing in the way of your advocacy efforts. Computational thinking, a problem solving process often associated with computer science, has become a buzz word as libraries and other cultural institutions move to support STEM and STEAM learning. But beyond the “coding” buzz, the universal ideas behind computational thinking – decomposition, pattern recognition, and abstraction – connect with familiar early literacy practices, like reading, singing, and playing. By exploring the relationship between early literacy skills and computational thinking skills, library staff can challenge themselves to think differently about our fundamental services and programs and the ways our work supports the whole child. Young children can become successful problem-solvers, creative thinkers, and lifelong learners at the library. Leading for equity means examining our library practices and policies with an equity lens. This shift in practice moves away from viewing our services as merely transactional and instead builds them in partnership with community. This interactive session will highlight The Seattle Public Library’s work to prioritize community voices and equitable partnerships to create relevant, responsive youth services programming. We'll also explore how Supercharged Storytimes is applying an equity lens to a training program that builds the skills and knowledge of storytime providers across the country as they nurture early literacy skills in the readers of the future. When families use STEM concepts to tell their own stories that center around their culture, creativity, and values, learning comes to life. Hear about the transformative partnership between a public library, university research team, science center, and community-based organizations that codesigned family programs incorporating stories, robotics, and e-textiles. At the heart of this learning is family storytelling, a practice that brings folks of all ages together in a culturally responsive, strengths-based way. Attendees will learn ways to incorporate participatory design elements with partners, as well as how to cultivate intergenerational learning experiences by prioritizing storytelling in STEM programs. To be truly inclusive, the future of libraries must take great strides in promoting disability access. 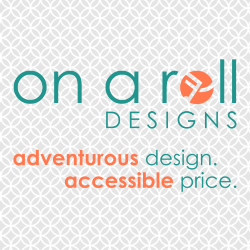 This goes beyond just web accessibility. Yes, we should be more obstinate regarding the compliance of our own web sites and collectively push on vendors to be compliant. True change, however, requires libraries to further involve themselves in the creation, remediation, and sharing of accessible content. As stewards of content throughout history, we understand how content’s structure and usage has evolved. Using this knowledge, libraries must play an active role in shaping the technology, standards, and practices to make content truly accessible to all. What role do library professionals have in raising awareness about algorithm design and human bias? In this presentation, we share insights from a survey of computer science students – the future architects of algorithms and AI systems that shape our information infrastructure – about their perceptions of the biases in search engines and big-data algorithms. All librarians can benefit from our presentation as it will help them understand the significance of developing ethically informed search literacy. In our discussion, we underscore that library and information professionals have a role in partnering with information scientists to ensure that libraries can be spaces where users can optimize their search for information and expect fair treatment from automated systems. Learn about key trends shaping the future of work and how public libraries can play an important role in creating communities that are prepared for change. Structural shifts in our workforce such as automation and AI, the sharing and gig economy, systemic income and educational inequity, and entrepreneurship and design thinking will impact workers and businesses in your community. By the end of this session, you will: understand some key workforce shifts impacting your patrons; be able to connect those broader trends to impactful library partnerships and services; and have begun formulating a plan to develop services responses for your own library. Libraries across the country are working to identify and address institutional racism and structural inequities. Released in 2018, the Government Alliance on Race and Equity’s issue paper “Advancing Racial Equity in Libraries: Case Studies from the Field” provides an overview of successful strategies and a framework designed to drive change from the local level. Join colleagues from GARE and from the Public Library Association’s Task Force on Equity, Diversity and Inclusion to learn more about the work that is being done and to discuss the opportunities and challenges that libraries and communities face as we transform our institutions. Studies show an increase in loneliness and depression because of too much time spent online. Communities experience steady erosion of the bonds formed when people share real-time activities together, which affects our health and well-being. As a magnet for social connection, libraries offer that sense of community and shared place that humans as social animals crave. Active learning programs that offer participatory activities to enhance individual learning can go further to cement social connection when people are learning and doing together. This session will explore library programs through the lens of social possibilities, with the goal of strengthening community bonds. Across the United States, public libraries in particular are considering their responsibilities in serving well their community members who are experiencing homelessness and poverty. The role of libraries in addressing societal challenges like these is one that hasn’t received much specific attention in library schools and this fact has left many who are addressing these challenges on a daily basis without the necessary vocabulary, background and tools. Using a new library school class as an example, this interactive session will offer examples of exercises, readings, videos and conversations that can help libraries move forward, dream big and take action. Check out the whole line-up here! Hope to see you at Midwinter! Saturday night I returned from a whirlwind 19 hours in Las Vegas for #NVLA18, where I presented on how library staff need to examine the lessons they've internalized about disability if we really want to get serious about accessibility and welcoming the disability community in the library. 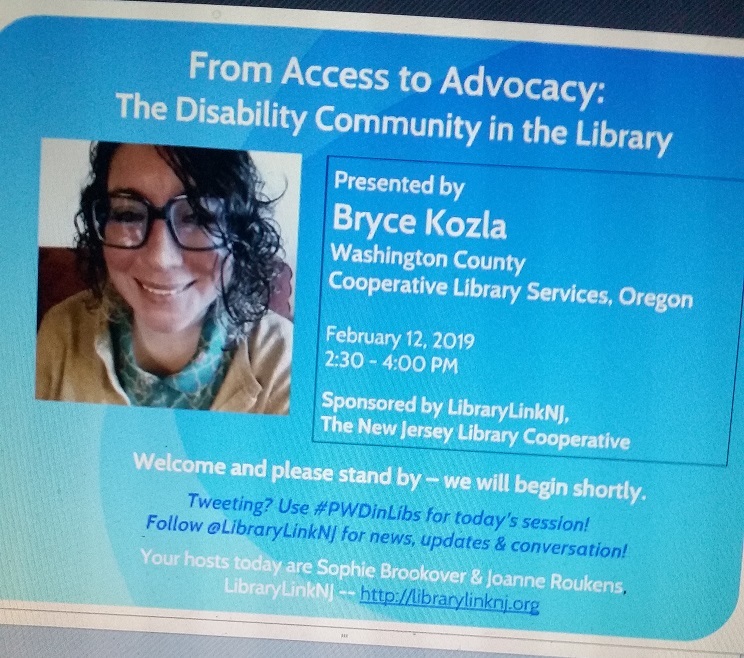 My thoughts on how to talk about the disability community in the library continue to evolve as I learn and grow as a self-advocate. I'm realizing that for multiple reasons we can't talk about disability in the same frame as other marginalization, though it's important to acknowledge that particularly the intersection of race makes a member of the disability community more vulnerable to the societal effects of the abled narrative (follow Vilissa Thompson at Ramp Your Voice for more on the intersection of race and disability). There are specific challenges in regards to accessibility that disabled people face in society and the workplace; and often un-examined feelings about the disability can lead to a neglect of basic access needs. So at #NVLA18 I tried my hand at a way to talk about accessibility and the way the abled narrative inserts itself into the framework in our profession. I framed the presentation through three overarching lies the abled narrative tells us; how each plays out in libraries; and some things we can do to counter and rebalance our thinking. A tall order for 50 minutes! But hey, I had a lot to say. 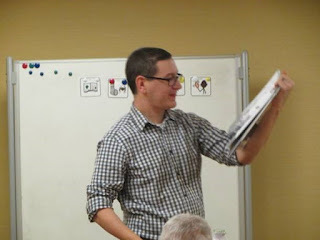 Why do sensory story times for adults with intellectual/developmental disabilities? Jen: Story times are not just for kids, and multisensory experiences are the best way to engage audiences of all ages and abilities. Adults with cognitive disabilities may often feel more at home in the Youth Services area. Three years ago, we began seeing increasing numbers of group home residents with disabilities visiting the library. Caregivers were asking about attending our adaptive sensory story times for youth with developmental delays, which is limited in registration to help prevent overstimulation of our young attendees with sensory sensitivities. Many of our weekly group home visitors enjoy coloring, playing with some of the games and toys, doing a simple craft at our passive activity table, and eating their lunch in the library café. It was time to start thinking about an ongoing program for these frequent visitors who loved the library so much. One question kept arising: While youth librarians have experience creating developmentally appropriate programming and these folks seem to prefer children’s books and materials, are we being mindful andrespectful of their age by doing the program in Youth Services? Youth Services and Adult Services Collaborate! Jen: After reaching out to the Adult Services department for their thoughts, I soon began meeting with Ed to talk about developing a monthly program for our adult group home visitors (which would later also include young adult students with multiple disabilities from the Wing Lake Developmental Center). We decided to start with a monthly program, taking a look at the program outline for the youth sensory story times which we have offered here since 2010. We adapted the program outline for teens and adults, including simple but age-respectful materials and more opportunity for social skills development. Accessibility aids such as a visual schedule and adaptive yoga movement remained. 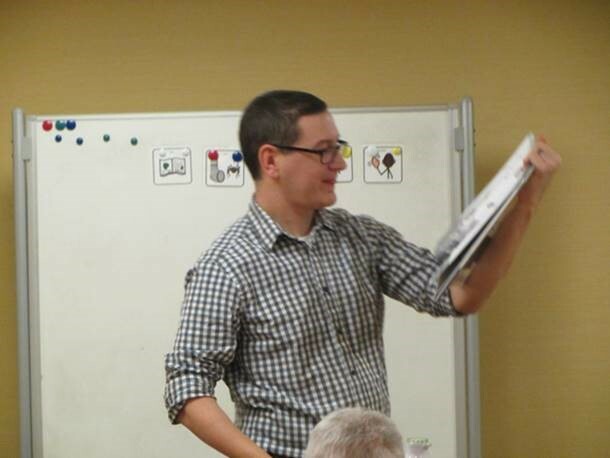 After the first few story times, Ed adjusted some of those activities based on caregiver input. Ed: Identifying 24 local adult group homes, I sent out letters introducing myself and explaining our plan to offer a program for adults with cognitive disabilities. After a month I had not received a single response and felt completely demoralized. It was then that I noticed a group of six adults and two caregivers just hanging out here one day. I approached them and introduced myself, talking about the possibility of this ongoing program. They were very enthusiastic and offered to attend the first program. Word of mouth and dedication helped to grow our average attendance to between 20 – 40 participants. Favorite Program Posts from the Archives! This past spring as I was starting to make the move from my old blog space to this one, Courtney from the Public Programs Office of ALA reached out to me about being featured on a post of "favorite programming blogs" on ALA's Programming Librarian website. While I was honored, the timing was tricky and I didn't want to muddy the waters and direct lots of new people to my old address when I was just intending on abandoning it. Also, I love programming, but aside from the occasional storytime sub opportunity that's not really part of my job anymore. So, how humbling and hilarious was it that five out of the nine authors who ended up being featured named my old blog as one of their favorites? 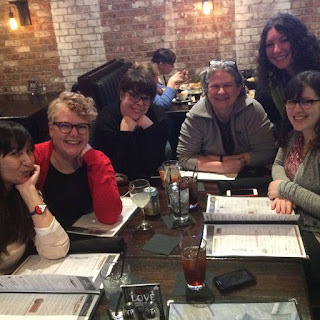 Granted, I'm Internet Friends with each of them and we've been part of a shared blogging community for awhile (I know at least that I've been blogging about library stuff for 7.5 YEARS now...what?!). I've been incredibly fortunate that something I basically started as notes to myself (okay, a very terrible book blog that THEN turned into notes to myself that THEN turned into stuff people read sometimes) to be received so well by people I respect so much. For a couple of years I used my blogging anniversary to lift up newer programming blogs, and then newer-to-me-blogs in general. I'm out of practice with it but I need to get back in the game. That's why, when this space is fully up-and-running, I'll be writing a post with a whole bunch of new-to-me programming blogs to add to your feeds. If you've started a blog that I don't know about it, please comment here so I can feature you, too! If you'd like to start collecting your programming thoughts in a place that's shareable, a blog is still a good place for that! Know that it's a lot of work, but you'd probably be doing it anyway for your own files, so might as well share your great ideas and maybe meet a few people along the way! (From left to right those pictured are Soraya (Admin at Storytime Underground), Mary (of Storytime Underground and Miss Merry Liberry), Rebecca (of Hafuboti), Melissa (of Mel's Desk), me (of here), and Anna (of Everyday Diversity and Future Librarian Superhero). In sum: I'm Nobody and You Can Be Too. Email me if you need encouragement! Ninjago Library Party: At over 100 people between two branches, this was possibly the most successful active program I made with junk and hope. Mythbusters for Elementary Kids: I completely forgot I did this, but there's four weeks of weekly plans for you. Library-sponsored LEGO track at the Pinewood Derby: it was fun. Spy School at the Library: those Ology programs were some of my favorites! Tween Scavenger Hunt in the Library: great for class visits or other group trips. Tic-Tac-Toe/Simon Says Mashup Game: one of my last inspired activities as a frontline staff member. Library LEGO Checkout Club: one of my most-shared posts ever! Super easy. Does everyone have their Summer Reading 2019 folder created yet? I had mine on 8/20, beating the creation of my Summer Reading 2018 folder by a whole 7 weeks (yaay?). SRP (or SLP, or whatever you call it*) continues to barrel through the years. A program of the magnitude, impact, and history that SRP is seems to be best left How It Is, mostly because it is easiest. But also because it's a ton of work and we put a lot of thought and heart into it. There's lots of Feelings and ownership wrapped up in SRP for a lot of us. For instance, when approaching the conversations this post is about with others on my team, I used the example of myself: the Summer Reading Game Cards I developed are my favorite and no one can convince that anything is better. And I mean, sure, there are so many people doing so many great things when it comes to SRP, but given the opportunity and without the guideposts I'll address here, I would probably run SRP with them until I was done in libraries. But that doesn't mean What's Easiest doesn't ever come with a healthy dose of overwhelming dread. Youth Services representatives at our local libraries expressed interest in revisiting countywide support from central services for SRP, and this support involves a lot of people and a ton of moving pieces. Big picture conversations, therefore, need to happen at the administrative and the local level. My coworker Katie and I decided to turn this into a fiscal year priority project (I keep meaning to write about these, they changed my life) and map out the conversation. I'm not going to share a lot about this process, or update about it as the conversation happens, in the interest of preserving the psychological safety of my team and local staff. But I did want to share to the questions we're asking. Because here's the thing: much has been written about the need to reshape SRP, or specific things people have tried, but what I haven't seen is the how: whose buy-in is needed? How do you advocate for change? How do you make sure no one on your team feels left behind or experiences burnout? 3. involve your entire team in the following conversations. Even the "pearl-clutchers". I share these questions with the caveat that there is a likelihood--possibly a high one-- that your staff doesn't feel psychologically safe enough to share their thoughts on these questions with a supervisor or another in a position of perceived power, especially if the supervisor has historically been the main creator of the program. It might be good to get a facilitator from another department or an outside source. Facilitation isn't for everyone. Feel free to reach out if you need help with figuring out this crucial aspect. Because of how BIG countywide support for SRP is, we decided on two conversations: one at the central level, and one that spans multiple meetings of the county's Youth Services Committee. I changed some of them slightly to make them more general. Feel free to use these questions when planning your own changes to SRP with your team! NOTE: If you're new here, welcome! When I write about accessibility, you will find that I use the terms "people with disabilities", "PWD", "the disability community", and "disabled people" interchangeably. This is something I deliberately do to challenge our institutional insistence on "person-first language." The other night I was dismayed to see several people I follow on social media sharing, liking, and "loving" the same new viral story about a PWD. These stories are great for the people and their families, when shared personally and on their terms. But then, sometimes the stories are picked up for likes and shares, and go viral by playing into the abled narrative: disabled people don't just live their life and enjoy new experiences for their own sake; they exist to teach everyone about how grateful we should be to be able to do something they can't. I was so confused as to why, after so many posts, conversations, and shared links, that people close to me still didn't get it. Didn't think critically about this story and whether they should share it before hitting "share post." Didn't think about the lived experience of PWD before deciding that the person featured existed to teach the world about gratitude. I wondered what I was even doing here. I wrote a FB post about it, then deleted it almost immediately, thinking about the fights I didn't want to have. I slept on it and decided to write this post instead. This, of course, is not just about that one post. I've also seen posts across groups and Twitter threads where library staff share their sweet stories to keep us all going-- and some of these happen to specifically mention the fact that the person they were helping was disabled, or "looked" disabled. Occasionally these posts are called out in the comments, to be defended as "I just wanted to share a story." Members in groups tag mods who assert that it's the job of disabled members to educate other members, that everyone is "still learning." (if you're serious about learning, there are two Facebook groups-- here and here-- that exist for PWD to volunteer their time to answer questions). As if Google doesn't exist. As if we're not all information professionals. So I decided to make checklist about whether or not to share stories about disability you find "inspiring", particularly if you are an abled person. 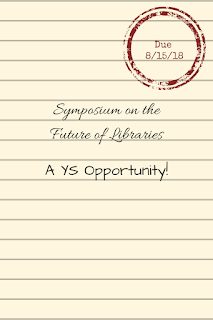 Symposium on the Future of Libraries 2019: A Youth Services Opportunity! I've been honored to represent the youth services perspective on the Center for the Future of Libraries Advisory Group the past few years. The Center is a great resource for tracking library trends and sharing future-focused stories through the weekly "Read for Later" newsletter. The Advisory Group's main duties so far have been to review and make recommendations for the Center for the Future of Libraries Fellowship and the Symposium on the Future of Libraries. The Symposium has quickly become a popular offering at the Midwinter Meetings. A lined background with a red stamp that says, "Due 8/15/18." 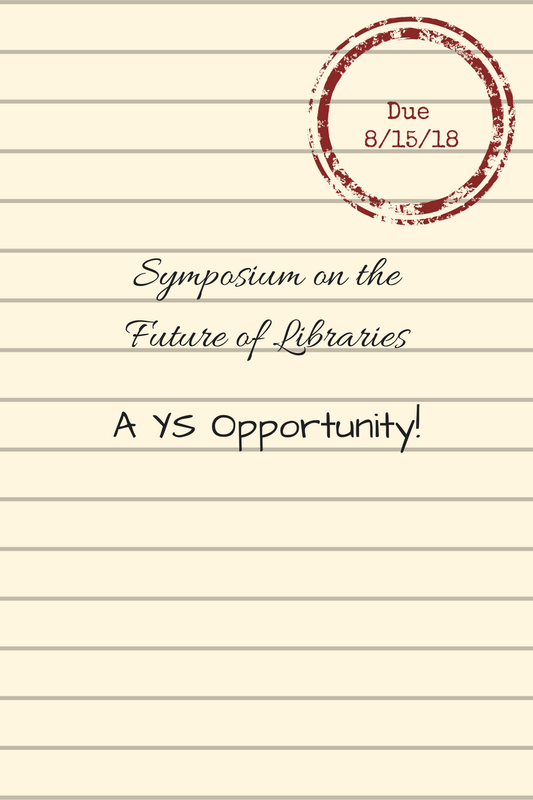 In black text: "Symposium on the Future of Libraries: A YS Opportunity!" As you know, the Midwinter Meeting is where the Youth Media Awards are announced, which makes it a great space for more youth-specific sessions. This Midwinter's last-minute "Storytime Deep Dive" in the Uncommons was an attempt to fill this need by ALSC member Melissa Depper. "I'd love to see a ton of Youth Services submissions. I really feel like there are so many great conversations happening about even the nature of youth services itself, but implementation can be tough when you're running 15 programs a week/managing tours for your whole district/on the desk several hours a week/yelling 'walk please' every 20 minutes/getting Child Germ Flu/constantly planning either Summer Reading or Battle of the Books/ etc etc etc. Or maybe you're facing a rough time and buzzing along and could use a new project to sink your teeth into. Youth Services IS the future of libraries; we're literally shaping family library legacies and creating lifelong library users and supporters, everyday. But we hardly get the time or support to really consider what that even means. We see it in the courses that are offered, the conference proposals that get accepted, the Storytime Underground questions that get asked again and again: we're looking for quick tips for right now, and that's what we're getting. And that's great, and it can work. We ALSO deserve the space, the time, and the support to really consider what youth services actually means, and what our future could look like"
SO: I want to see your proposals for the Symposium in 2019! What ideas are floating around in your head that you want to shake out? Have a presentation in mind, or a discussion you want to see had? The proposal application is live now! Submit your youth-focused proposal by August 15th (not that there's anything else going on for youth services folks right now...). I know it's all in the throes of SRP, but I'd love for anyone who has the bandwidth to consider this opportunity.